SeeTree, a Tel Aviv-based startup that uses drones and artificial intelligence to bring precision agriculture to their groves, today announced that it has raised an $11.5 million Series A funding round led by Hanaco Ventures, with participation from previous investors Canaan Partners Israel, Uri Levine and his investors group, iAngel and Mindset. This brings the company’s total funding to $15 million. He argues that the future of precision agriculture has to take a more holistic view of the entire farm. He also believes that past efforts didn’t quite offer the quality of data necessary to give permanent crop farmers the actionable recommendations they need to manage their groves. 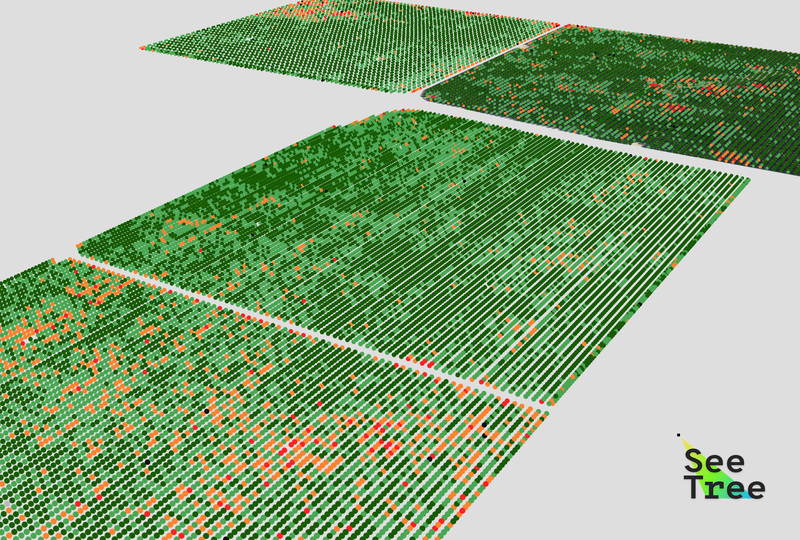 SeeTree is obviously trying to tackle these issues and it does so by offering granular per-tree data based on the imagery gathered from drones and the company’s machine learning algorithms that then analyze this imagery. Using this data, farmers can then decide to replace trees that underperform, for example, or map out a plan to selectively harvest based on the size of a tree’s fruits and its development stages. They can then also correlate all of this data with their irrigation and fertilization infrastructure to determine the ROI of those efforts. SeeTree was founded by Talpaz, who like so many Israeli entrepreneurs previously worked for the country’s intelligence services, as well as Barak Hachamov (who you may remember from his early personalized news startup my6sense) and Guy Morgenstern, who has extensive experience as an R&D executive with a background in image processing and communications systems.